Repeats every week 57 times except Thu Dec 27 2018. 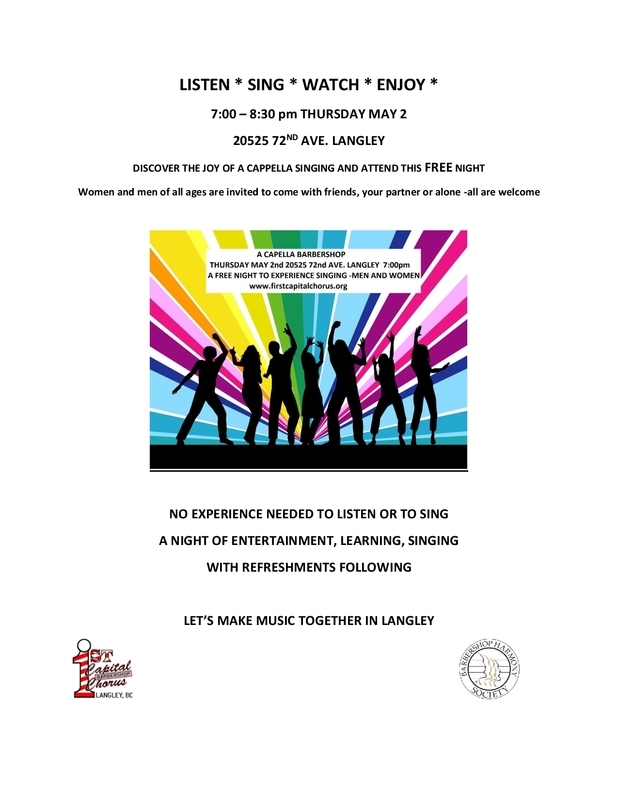 Experience a cappella singing Thursday May 2nd ....A free night to sing, watch, participate or just listen! Women and men of all ages are invited. Bring a friend, your partner or come alone. Lots of entertainmemnt learning and singing. If you need more information contact danny at: [email protected].